You produce and process products in the food and non-food sectors and are looking for all-in solutions customized perfectly to your products. 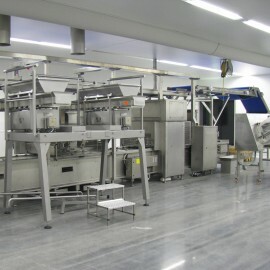 We design, build and deliver machine lines for measuring, dosing, packaging and more. Everything you need for serving your customers well. 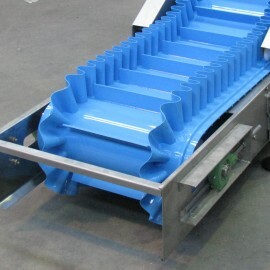 Whether it be liquorice, confectionery, subtropical fruits, biscuits, nuts, cheese blocks, packaged fish or meat products, dishwasher tablets or nails, our machine lines can be used for all foodstuffs and many non-food items that require packaging. Bodijn will help you in the decision-making: we design, build and assemble machine lines that are necessary from the production up to the point at which the packaged products are put into boxes. You will benefit from our short lines of communication. We have our own drawing office and fitting and assembly teams. You can link up fast and efficiently with our engineers and project management. We deliver machines fully tested and turnkey if desired, enabling you to start directly processing your food and non-food products. The machine lines that we set up are multi-purpose. In other words: suitable for several products. They are also durable; they will easily last 20 years. You can of course ask our help if you still have a problem. The materials used fulfil all legal requirements. Our service is optimal, including after delivery. You can ask our support at any time if you have any problems as we know your machine lines inside out. Our service will remain excellent whether this is after a few months or 20 years. We also deliver customized solutions: machines that you need just before the further process of weighing/counting and packaging gets underway. Examples of this are marsh mallow and layer cake lines. 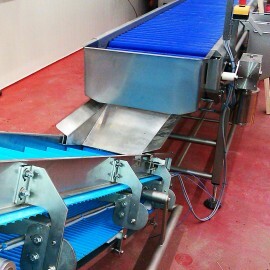 We will manufacture, deliver and then install such machines on your premises. Everything will be made to your specifications, precisely to your needs. We aim for lasting relations with our customers. 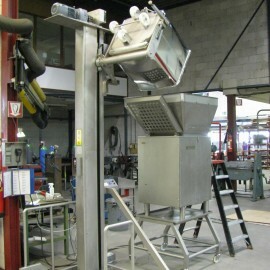 This means that you receive excellent service from us before, during and after the machine is finished. We will of course keep an eye on the costs. Particularly when it comes to making the machines more energy efficient. Pneumatic machines are expensive to use. We therefore prefer installing machines that work without air but that are at least as good. Here are some examples of recent projects that we have completed for national and international customers. Click on the image for an extensive description.